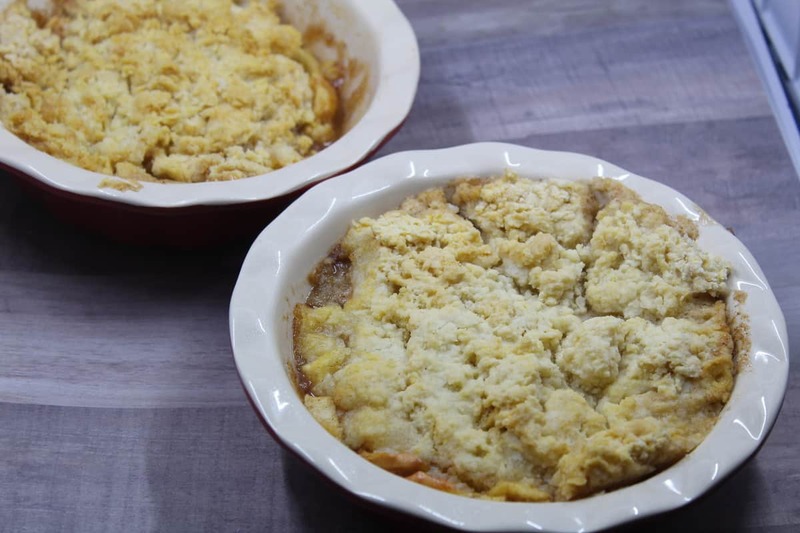 Welcome to Fall, don’t these pies look good and amazing! They are both so delicious, light and flaky, and the crust is awesome. My kids went apple picking this past weekend, and boy do I have apples to use up. 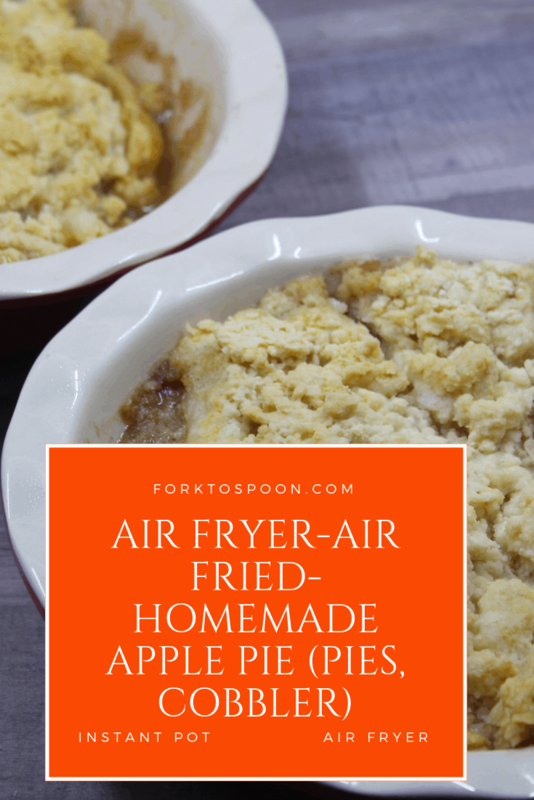 So, I thought, why not try an apple pie in the Air Fryer? 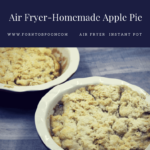 That sounded like a plan and ordered these two mini pie plates to fit into my air fryer and they worked perfectly, I can not recommend them more. Now, I used all prepared items to make this pie. This is my second time making the pie. The first one, my family ate way too fast to take a picture of it. It was fabulous, I served it with some homemade vanilla ice cream. And, to be honest, it might be one of the most delicious pies, I have ever eaten. Next week, I will make my homemade cherry filling, but I wanted to share this with all of you, in case you were looking for an easy Easter dessert. 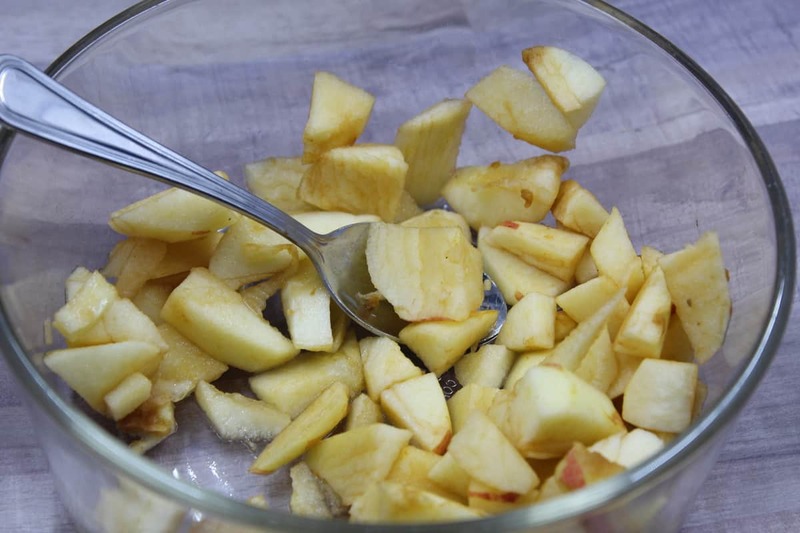 Start by peeling and cutting up the apples, into bite-sized pieces. 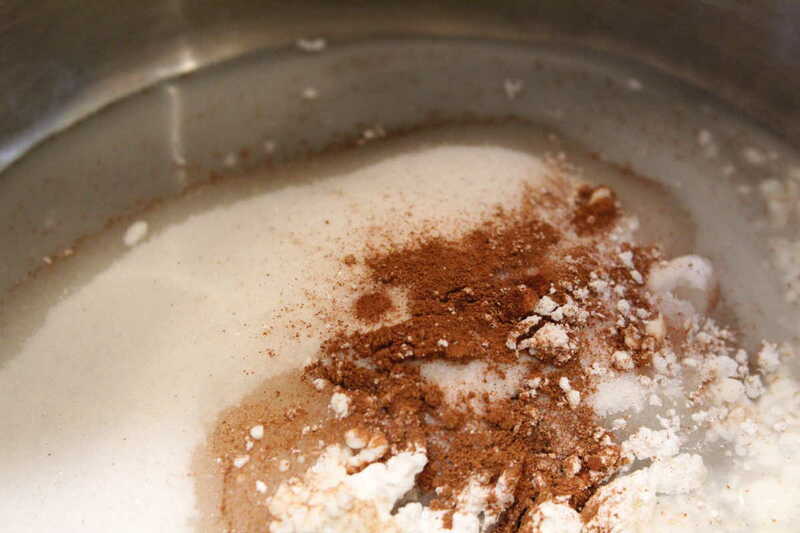 Then mix together the sugar, cornstarch, cinnamon, nutmeg, allspice, water into a small saucepan. Mix well. 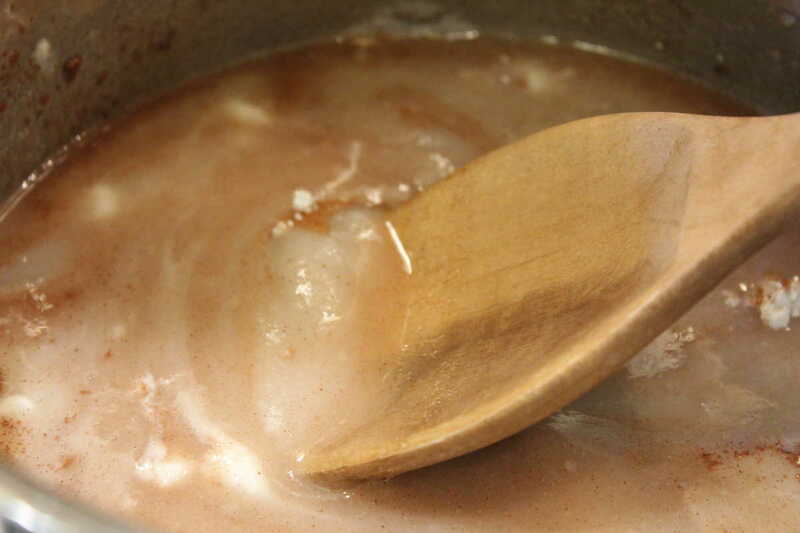 Bring to a small simmer, and then turn off the heat. 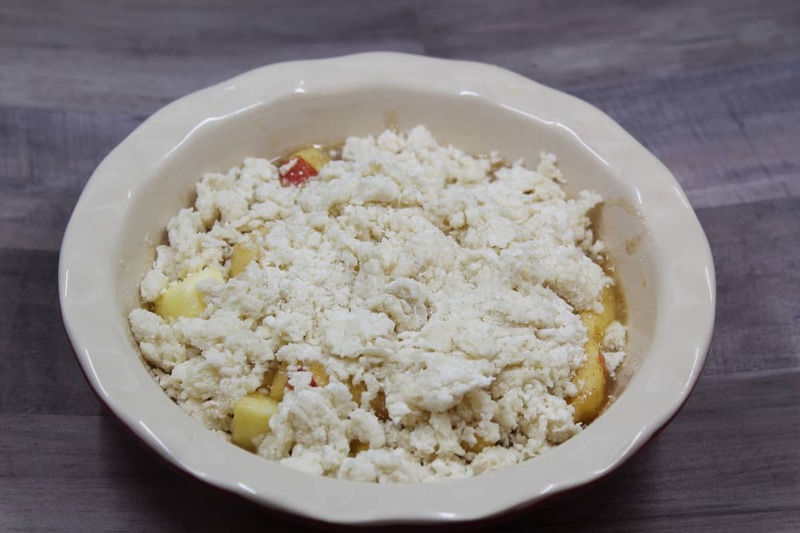 Remove from heat and then mix in the butter, apples and lemon juice. 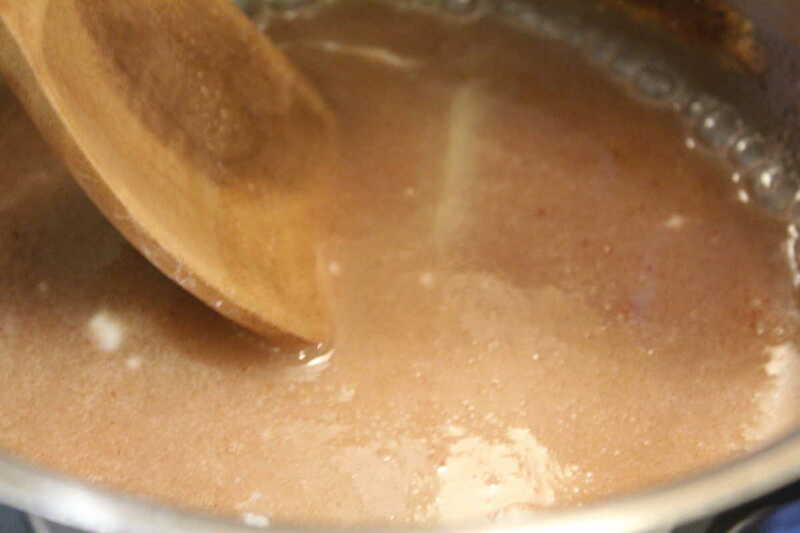 Meanwhile blend all of the topping ingredients into a small bowl, mix well. 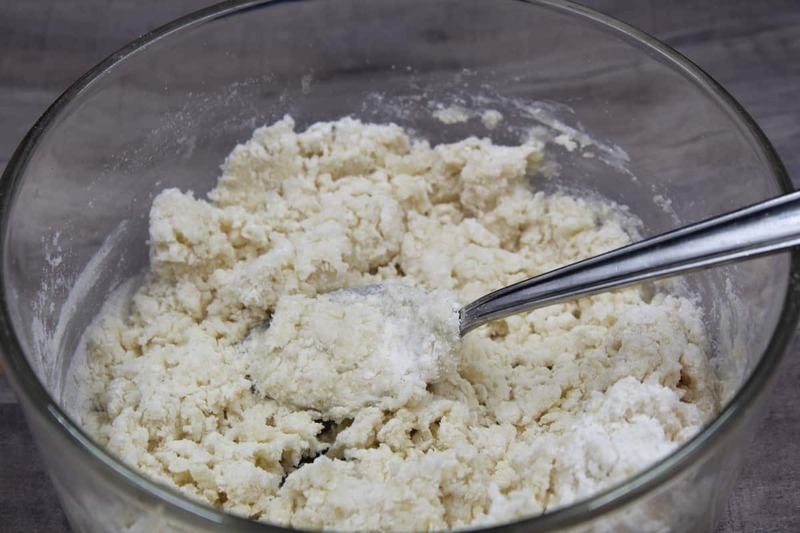 Topping is nice and crumbly. Pour the topping over the filling. Then set into the air fryer. I Used these, they made the pie easy to make lovely. 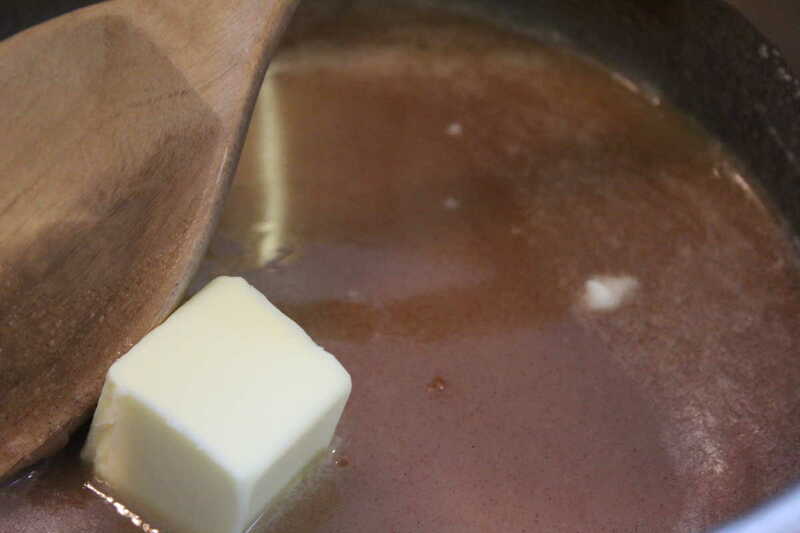 In a small saucepan combine sugar, cornstarch, spices and water, bring to a simmer. Keep on stirring so it doesn't burn or stick. 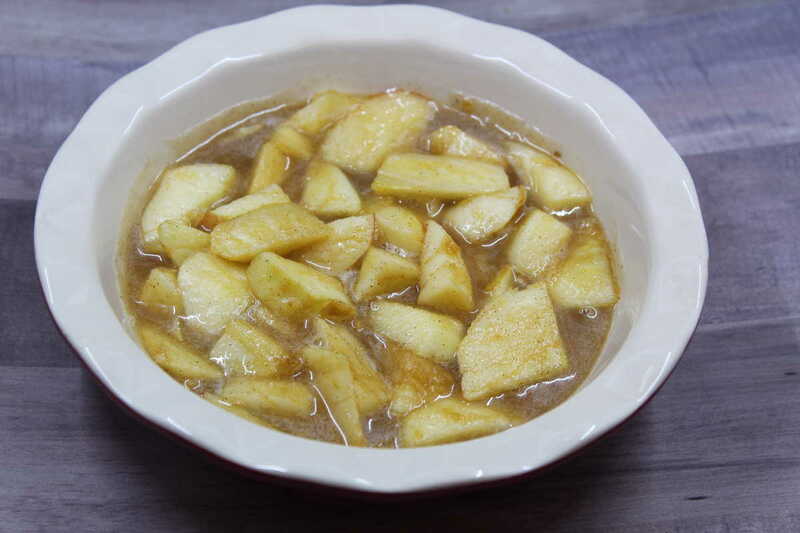 Remove from heat, mix in the butter, apples and lemon juice. Mix well. 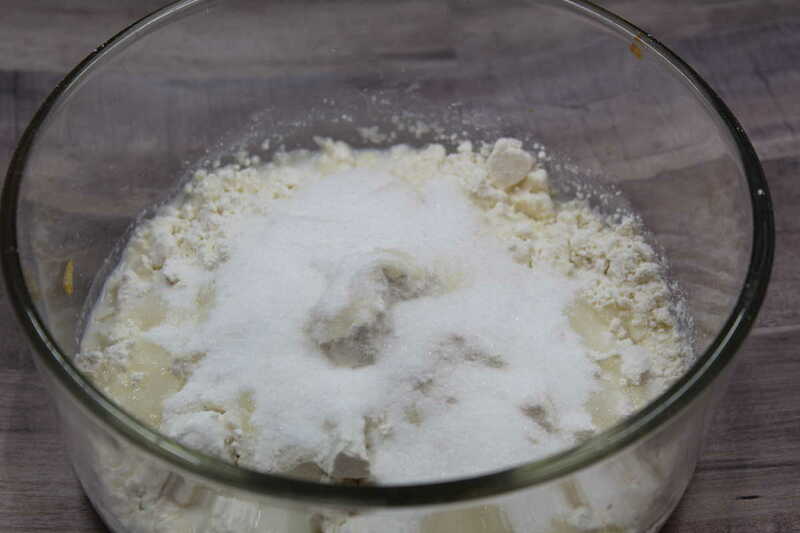 Then make the topping, just add the Bisquick mix, milk, sugar and melted butter in a small bowl, and mix well. 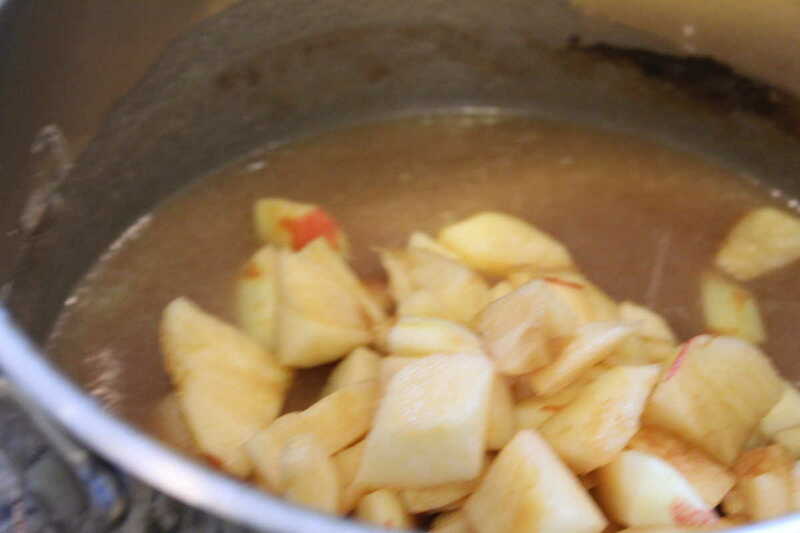 Pour the topping over the apples. 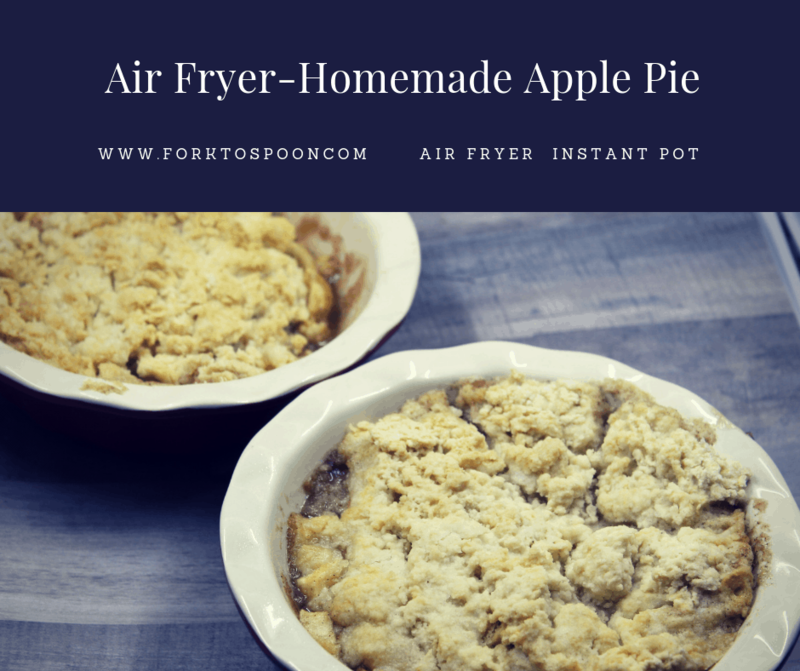 Set in your air fryer 320 degrees F, for 10 minutes, check and add 5-minute intervals until the pie is completely cooked. Note: the exact time will depend on your model of air fryer and wattage.